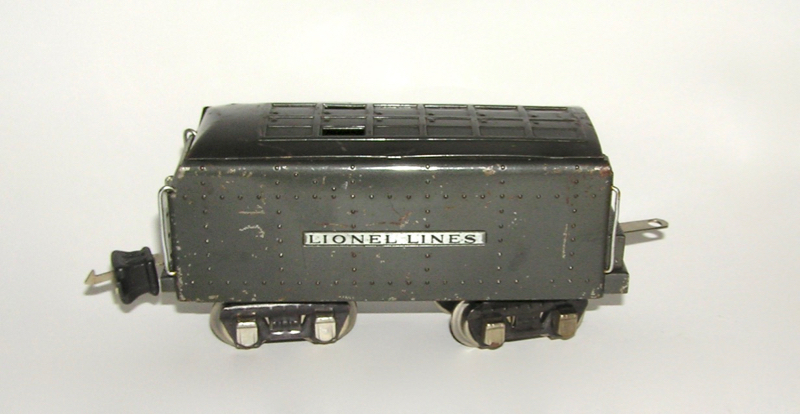 Here is a nice looking Lionel No. 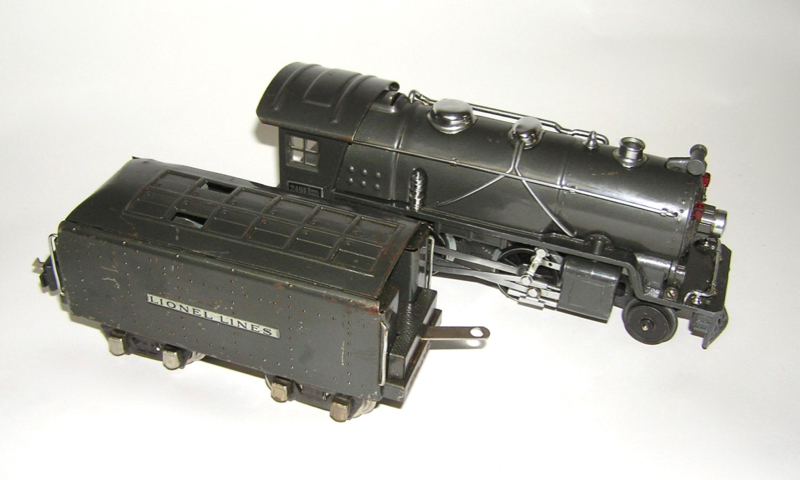 249E Steam Locomotive and a No. 265W Whistle Tender - both in the gun metal gray finish. 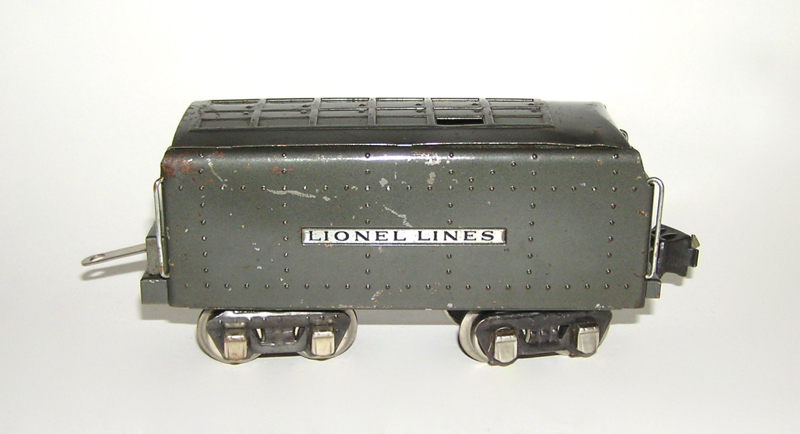 Size of the loco is 10" long, and the tender 6-1/2" not including its couplers. 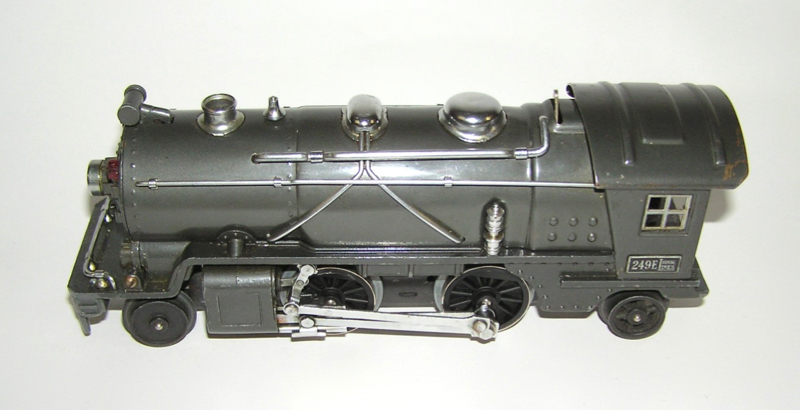 The engine is in very good condition with just some minor marks. front cow catcher has been repaired. Nice bright nickel trim. Engines runs forward and reverse. Tender show more wear. When tested it did whistle. Don't miss. Thanks.